The hospitality industry in Canada is a year-round business that drives the Canadian economy forward. With more than 1.2 million people working in the accommodation and food services industry alone, and that number sure to increase as communities grow, it’s important to stay ahead of your competitors and provide customer service that keeps people coming back. Across all hospitality industries, the overarching goal is customer service and not only keeping guests coming back, but also recommending their experience to others. A number of hospitality businesses have already seen how having the best team communication can drive those desires, and create success. From restaurants across Canada, to hotels and motels big and small, these businesses have benefited from two way radio communication among their teams – and have seen better customer service, productivity and safety as a result. Accommodations – According to the Hotel Industry Association of Canada, there are more than 8,000 hotel properties throughout Canada as of October 2016. Within those properties, there are more than 300,000 employees working throughout facilities and driving home a good experience to keep customers coming back. 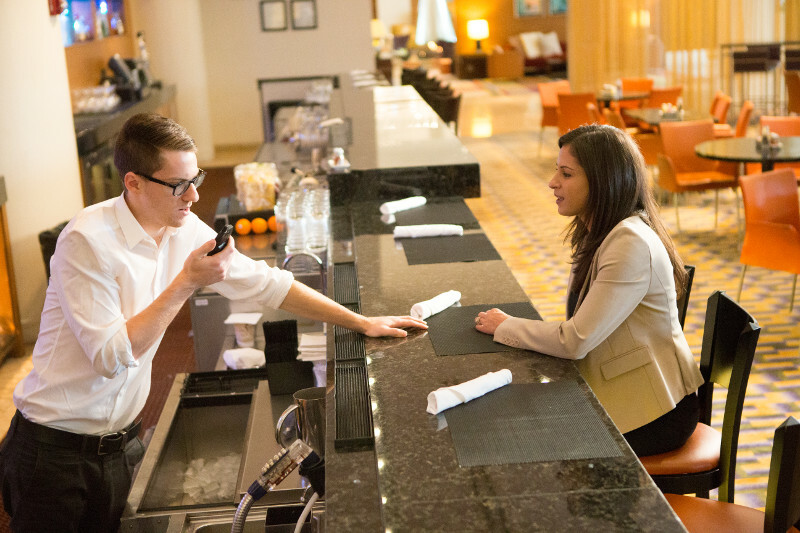 The hotel industry has been using two way radios for years, and for good reason. With a number of staff departments, two way radios have enabled teams to provide flawless customer service and seamless results to meet growing consumer demands. If guests at hotels have a terrible experience and don’t receive the service they expect, they will choose to lay their heads somewhere else next time they visit. Two way radios have enabled teams at the front desk to keep in touch with housekeeping and maintenance at the push of a button so when situations need to be addressed, they can be done so quickly and effectively. Restaurants – The Canadian Restaurant and Food Service Association says that on any typical day, approximately 17 million Canadians visit some form of restaurant. This is a staggering figure and speaks more to the need for the best communication abilities to keep customers coming back to your establishment. Restaurants across Canada big and small have seen the benefits two way radios can provide. From front-of-house managers checking the status of tables to inform customers, to kitchen staff radioing to servers that a plate is ready to be delivered to a table. Restaurants require a consistent flow of information throughout busy shifts, and two way radios provide that opportunity. Check out this story from a Canadian restaurant, and how two way radios have helped drive their success. Events – From security, logistics, transportation and beyond, events require team communication to put on a flawless event. Two way radios allow individual teams to communicate without interrupting other aspects to the event, but when a message needs to be relayed to the entire event team, two way radios allow that to happen, too. With large events this is key to success. Transportation – In various sized Canadian tourist centres, there are a number of tours that take place via various means of transportation – whether its tour buses, boat tours and more. A number of transportation based industries in Canada see the value of having contact with a dispatch centre during these tours, especially when safety of the passengers is top of mind, or if emergency situations take place. At the push of a button, team members are able to communicate with each other, and supervisors, to get quick answers to their needs. And, whether they’re working in driving rain or hot weather, there is literally a two way radio that can accommodate those needs. Facilities – From golf courses, amusement parks, zoos, campsites and museums, we’ve seen it all for two way radio use – and heard from customers who say the benefits are worth the investment! Often times, these facilities cover vast areas, and you require team communication, but a look of professionalism at the same time. Have discreet conversations, get immediate results, and ensure communication can happen at all areas of your workplace (even if it’s loud). 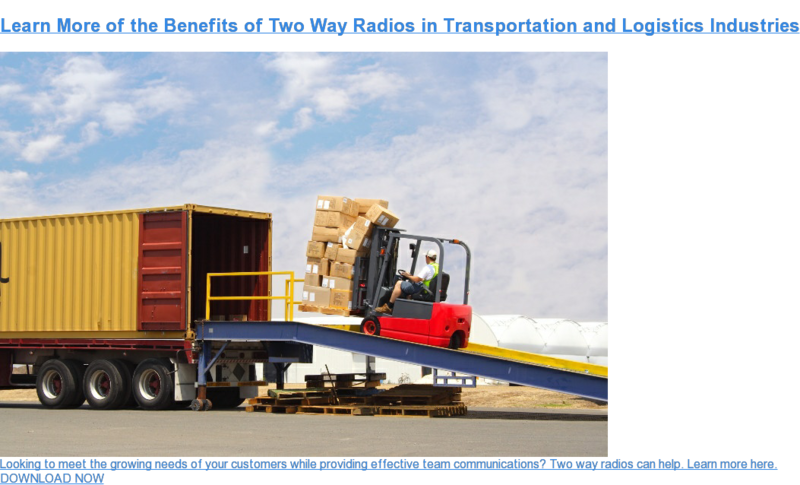 An added benefit is that two way radios come in all shapes and sizes for whatever your facility needs. These are just random samples of the benefit of two way radios in hospitality. Here at Nova Communications, we are proud to be a part of the industries that make up the fabric of Canada and its continued success. This year, keep an eye on our blog as we do various things to celebrate Canada’s 150th anniversary in 2017. Whether you’re in the hospitality industry, or one of the many other industries that make Canada vibrant, we have worked with sectors throughout the country to help solve communications needs. With more than 30 years in business, we can answer any and all of your questions. Contact us today for more information or start with the Portable Radio Selection Guide below.